Back in the year 2000, Lego was voted the ‘Toy of the Century‘, thankfully beating such gendered nonsense as Barbie and Action Man in the race to the prize. It’s not hard to understand why. Lego is not only a fantastic toy for children, but adults love playing and working with it as well. This photo was taken at Arte em Pecas, an annual Lego sculpture event in a small, very out of the way town called Paredes de Coura, in Northern Portugal. The festival is organised by a group of Lego enthusiasts who call themselves ‘Comunidade 0937’ (see if you can work it out). 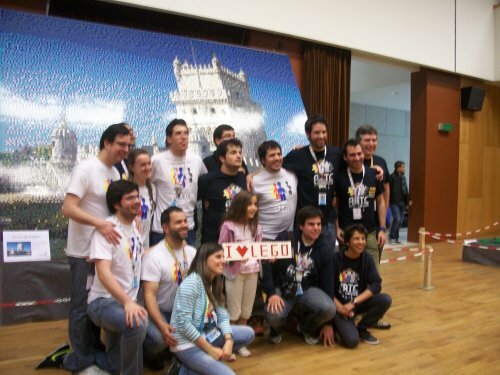 That’s my kid in the centre of the picture – she built an amazing Lego sign out of the bricks they had left out for children to build with, and the organisers asked to take a photo with her. Behind them, you can see an incredible mosaic, built over the week of the festival by all the people who attended, using a set of patterns and lots of small flat four plate bricks. As well as making models and mosaics, people sculpt in Lego too. If you haven’t seen it yet, do take a moment to have a look at the incredible Lego art of Nathan Sawaya. The best thing about Lego is how something simple becomes much more than the sum of its parts. Now, when it comes to Lego, I have a bit of confession to make. 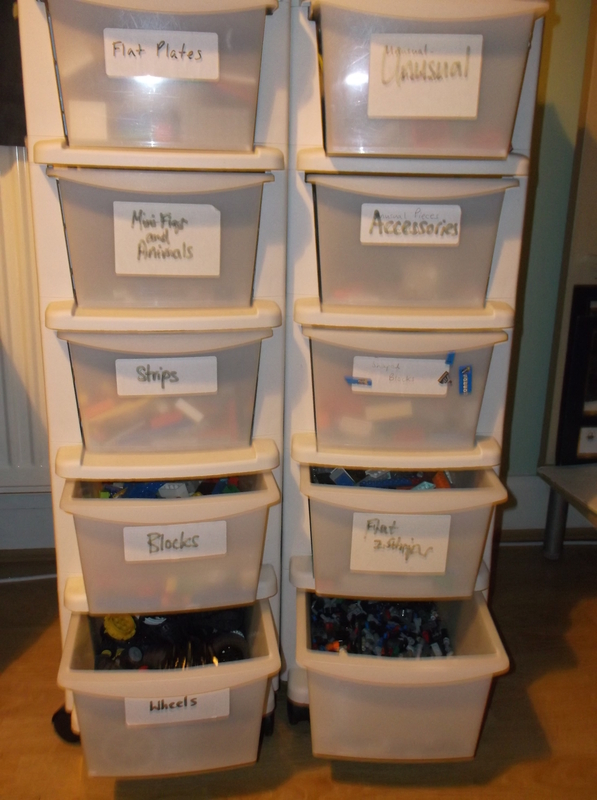 Not only do I adore Lego, but I also have a bit of an obsession with sorting it. In my experience, Lego lovers tend to fall into two camps. There is the ‘chuck it all in a box and do what you will with it’ camp, and then there’s the ‘err, would it be going too far to sort by shape *and* colour?’ camp. I’m definitely in the latter; for me there is something soothing about finding all the blocks, or the plates, or the strips, or the mini figures (especially the mini figures) and putting them into one drawer so we can find them all easily when we need them. The kids always end up sabotaging my sorting, but that’s part of the fun of the game for me. As well as about a ton of modern Lego, we also have some Lego from when I was a child. They didn’t seem to have much in the way of health and safety in those days. If you think modern day bricks are painful to stand on, you should see the sharp edges on my childhood conifers. My loyalty to Lego has been tested over the years, especially when they went down the gendered route with the ‘Lego friends’ range. But as a company Lego seem responsive to their fans, and since they countered with the ‘Women of Nasa‘ set, I’m willing to forgive them the ridiculous pink thing. 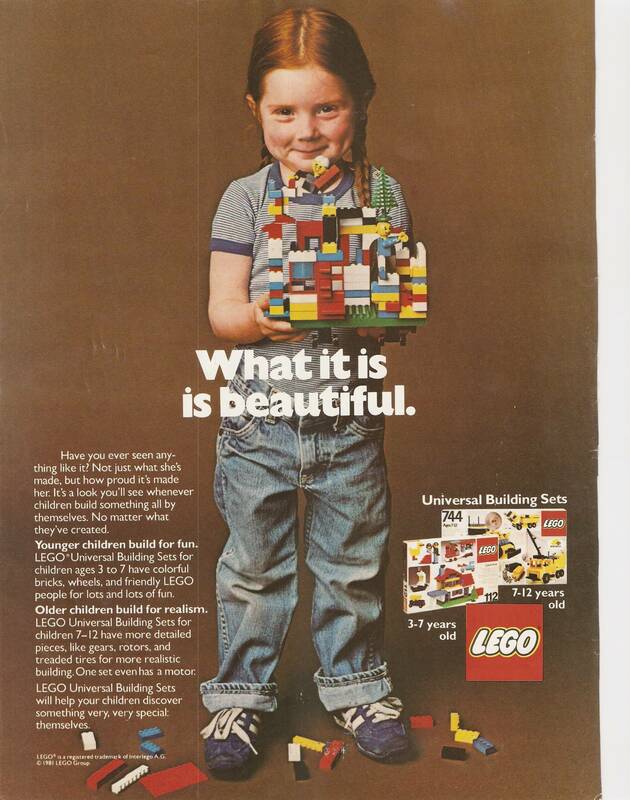 The word ‘Lego’ comes from the Danish ‘leg god’, which means ‘play well’, and that seems pretty apt in my experience. We have spent many, many happy hours playing with blocks and building our creativity, our fine motor skills and our ability to follow instructions in the process. (I have a suspicion that my kid will find putting IKEA furniture together a breeze when he gets to that point.) Other great things about Lego are that it is virtually indestructible, and that it can actually increase in value, the longer you own it. (Some Star Wars minifigures are worth a small fortune on Ebay these days). And then there is the vexed question of whether or not we should be using Lego in our classrooms. Do we love Lego enough to make it part of our practice? Does it fit with our philosophies of education or should it stay in early years settings; be dismissed as ‘a toy’? My take on it is this. Like any other resource, Lego is just a tool. If it’s the right tool for the job you need doing, then use it. And if it’s not, then don’t. I’m not sure I could think of a use for Lego in PE, but I’ve heard that Mindstorms kits are great for working on robotics. I’m pretty sure that all that time spent working with 2’s and 4’s and 6’s and 8’s has to be good for my children’s conceptualisation of number patterns, but I’m happy to accept that Lego might not hold out much hope for secondary RE. I’m just not quite ready to sell off all the drawers of Lego yet, in case one of my kids turns out to be a famous Lego sculptor. Because I love Lego. And there’s nothing to be ashamed about in that. That sounds great, please tag me into your findings if you can. Any time you feel like coming to Dorset to sort some Lego, just say the word!